When it comes to online poker tournaments, one of the biggest things an online poker player will look for is the guaranteed prize pools that will blow them away. 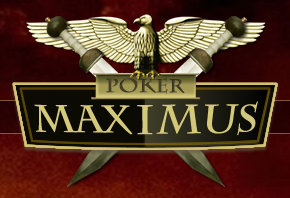 This is where Poker Maximus really stands out, as they have guarantees on their events that range from $2,000 up to $200,000! Obviously each tournament will offer a different buy-in, but regardless of what stakes you enjoy playing, you’ll find that there’s a great guaranteed tournament for you. Let’s take a look at some of the best tournament guarantees for each different level between the lower limits, mid-level limits, and high stakes limits. Three of the best low limit guarantees are the $4k guaranteed $1+$0.10 rebuy event, the $7,500 short handed $5+$0.50 rebuy event, and the $7,500 guarantee $10+$1 freezeout event. You’ll find that on these guaranteed tournaments you get a little bit of everything; with some low-limit rebuys, mid-level rebuys with a huge guarantee, and a big guarantee that you won’t have to do any type of buy-in for, and you only have to spend $11 to get in on it. As far as these limits go, you should keep your eyes on the $15k guarantee $30+$3 tournament, the $55+$5 shorthanded $15k guarantee, and the $40k guarantee rebuy tournament for $55+$5. You can see that when you bump up to the mid-level tournaments that the guarantees get larger (as they should), but offer some hefty pay days for the eventual winners as well. The best part about these events is that there are many options outside of just rebuys if you only want to put between $20 and $55 into the tournament. These are the big boys of the tournaments, so if you’re after some serious money then it’s definitely worth checking out the $109 Main Event with $200k guaranteed, the $530 superstack with $200k guaranteed, and the $215 Maximus High Roller that guarantees $85k in the prize pool. As you might imagine, the hype surrounding these events will be pretty intense, and players finishing first place in these big time tournaments will be looking at some huge winnings. Online poker players will generally find that, no matter what tourney size they’re used to playing, there are plenty of options to suit thier needs in the 2012 Poker Maximus. Be sure to check out the full schedule to see when the tournaments in your range will be running; sign up for Carbon Poker through RakeTheRake for the best rakeback deal, and earn cash on all the poker you play, win or lose!